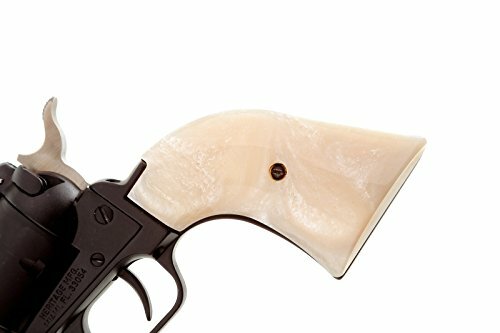 These grips are produced specifically for the Heritage Arms Rough Rider Revolver only. They are made from high quality synthetic pearl that looks and feels like highly polished real Mother of Pearl and are the closest in color with greater durability than the real thing. Grips come with a screw. If you have any questions about this product by Premium Gun Grips, contact us by completing and submitting the form below. If you are looking for a specif part number, please include it with your message.